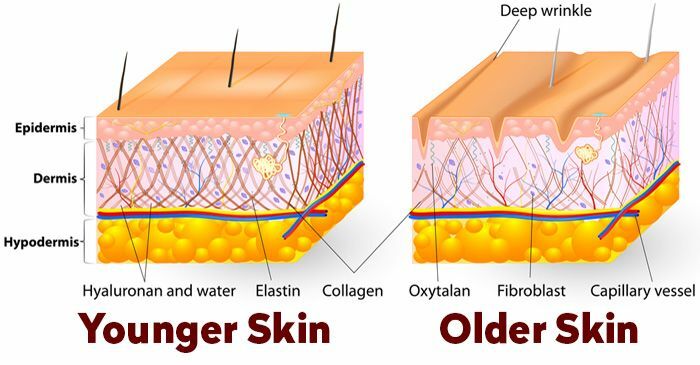 Hyaluronic acid, also called hyaluronan, is an anionic, nonsulfated glycosaminoglycan distributed widely throughout connective, epithelial, and neural tissues. The average 70 kg (154 lb) person has roughly 15 grams of hyaluronan in the body, one-third of which is turned over (used and regenerated) every day. Hyaluronan is a substance that occurs naturally within the body. 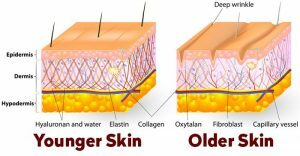 It helps to maintain the structure of skin and is found in abundance in younger skins (think the soft, bouncy skin of babies). As usual, all good things must come to an end, and our natural levels of hyaluronic acid deplete with age, causing the skin to lose its volume and suppleness. When applied topically to the skin, hyaluronic acid has two benefits for the skin. Firstly, it works to restructure the skin, plumping the appearance as well as smoothing out fine lines and wrinkles. Secondly, it provides long lasting hydration for the skin. HA has the ability to hold up to 1000x its weight in water, making it a fantastic way to replenish hydration.